Soon as you walk into this roomy house, you will feel like you are at the beach. Plenty to do within walking distance, including rock and beach fishing, local beach and bush walks and a small diary and cafe. The beach has lifeguards on duty during the summer but when the surf gets up too much, the spa and pool complex is a great alternative, especially if you have children. 10 minutes drive to Whangamata where there is a supermarket and many eating places to choose from. PLease contact me if this BACH is booked as we look after 10 other holiday homes on Onemana. No smoking or animals please. This property is definitely only suitable for family groups. 10 people are permitted to stay at one time, including children over two years old. A portacot is available at no extra cost on request. During the Christmas and New year periods, bookings must be for 10 plus days. During Beach Hop, at least 3 days. Great place for a base, access to a local private Spa and Pool complex for a small donation. Plenty of space for a family gathering, great views, table tennis table a big hit. Had everything we needed to prepare a great family Xmas dinner. A basic house/bach but just perfect for our needs. A basic house/bach but just perfect for our needs. Huge area for three families to enjoy a holiday together with play room for the kids, two bathrooms and a large kitchen. A short walk to the beach, cafe etc made it a good location. 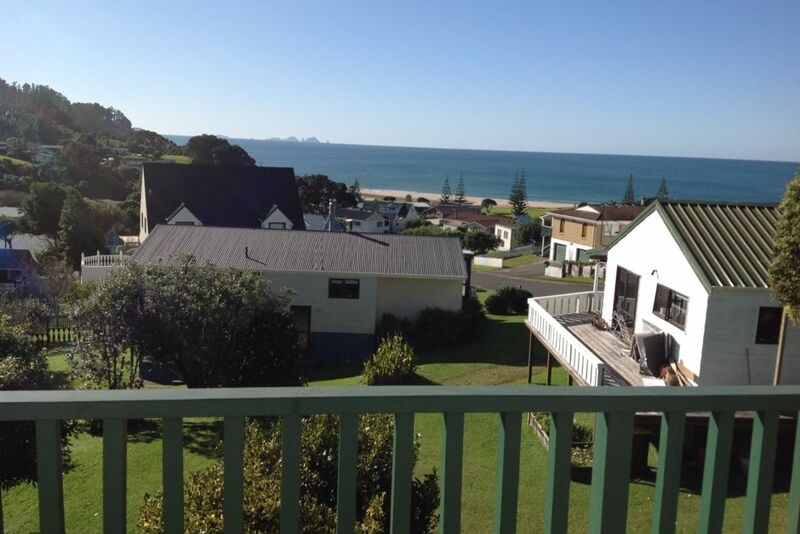 A great bach in a great little beachside kiwi town.